Health SOS takes preserving your health seriously. Once you sound the SOS, we are by your side to keep you going strong. 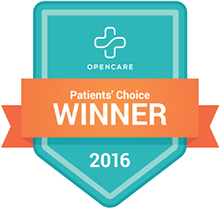 We treat the symptoms of pain and swelling while looking for the underlying issues that caused those problems. In practice we are body detectives who observe your postures, patterns of dysfunction and weaknesses and develop a pathway to full healing. There is opportunity in injury—to become stronger than before. This is the goal. The body is an amazing instrument that will heal and strengthen with the correct guidance. Health SOS is here to facilitate by devising an individualized therapeutic exercise program, delivering good manual work and supporting you every step of the way. Thank you for entrusting us with enabling you to thrive. Health SOS is a quality practice and we seek like-minded people to join us. We believe in fostering professional growth through offering inservices where we share what we have learned through our paid Continuing Education. 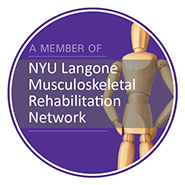 Health SOS also belongs to the NYU Rehabilitation Network that offers participation in their Journal Clubs, Grand Rounds and educational series with CEUs. Triarq is another educational group that Health SOS belongs to – with educational symposiums offered at SUNY’s auditorium on East 56th Street in Manhattan and online learning portals—CEUs also are rewarded. We have a Mentoring Program where we pair a Senior Therapist with a new employee so that transition flows smoothly. Sharing and teamwork are paramount at Health SOS. We have an active student program with NYU, Hunter, Columbia Presbyterian, LIU, SUNY Downstate, Touro, Stonybrook, and NY Tech. We believe in giving back to the professions of Physical Therapy and Occupational Therapy.